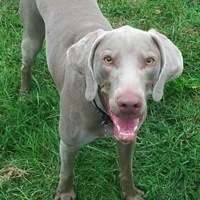 - California Weimaraner Rescue - ADOPTIONS - Rescue Me! WILLOW is a sweet 2.5 year old girl, she is mellow and easy going. She loves people and dogs, maybe good with cats.